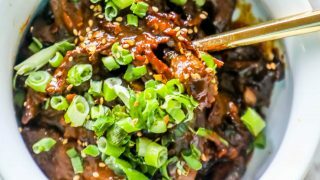 Skinny Mongolian Beef is a delicious, savory favorite – can be made in an instant pot or slow cooker, and paleo/whole 30 diet compliant! 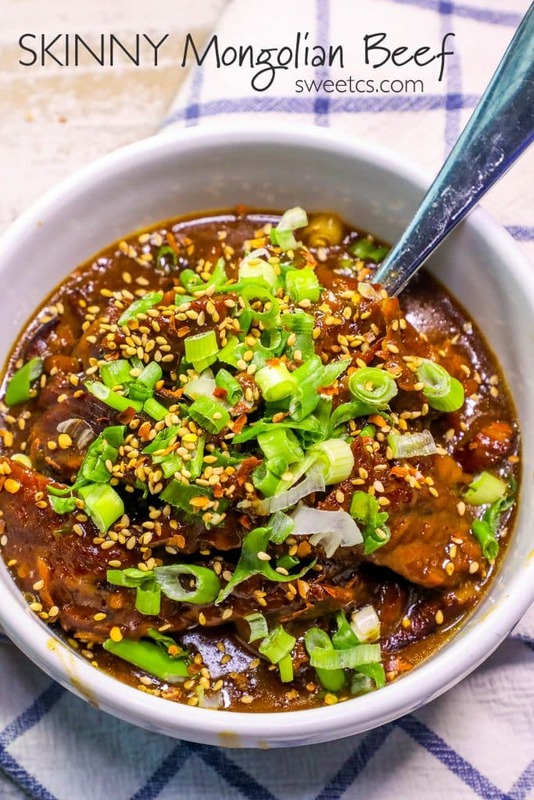 Instant Pot meals are everywhere lately – they are so easy and make such delicious meals lightning quick – and I HAD to try one out. Let me tell you – if you’ve been holding out on buying an Instant Pot, you’re majorly missing out! It is like a slow cooker and a pressure cooker combined- and so totally easy to use! I just got mine off Amazon (under $100 and free shipping with Amazon Prime, natch!) click here to get yours. 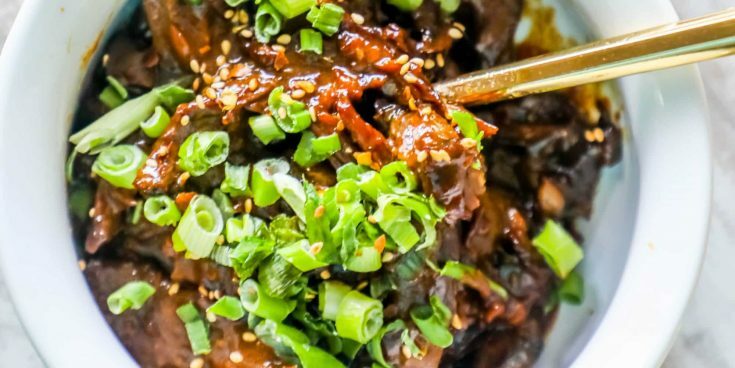 But the best part of this skinny mongolian beef? 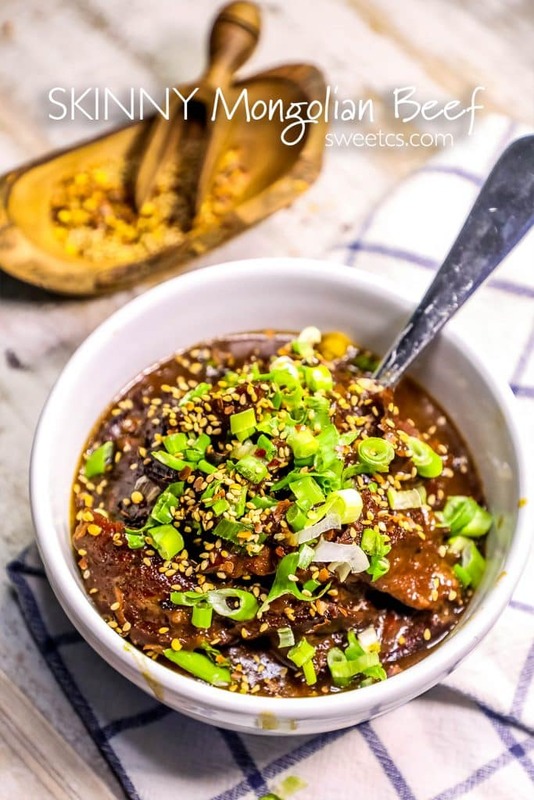 It can be made in a skillet or a slow cooker if you don’t have an Instant Pot! It’s still super simple and totally paleo/whole 30 compliant – so make this tasty dish whatever way works best for you! It’s so hard to stick to healthy eating plans, this is one meal you don’t have to work too hard on!!! 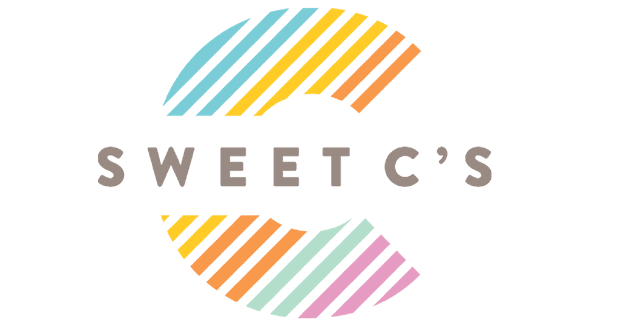 **If you’re sticking to a whole 30 diet, swap the honey for (no sugar added) apple juice concentrate, or dates that are soaked in water and blended. Thinly slice flank steak, and then cover in arrowroot powder. 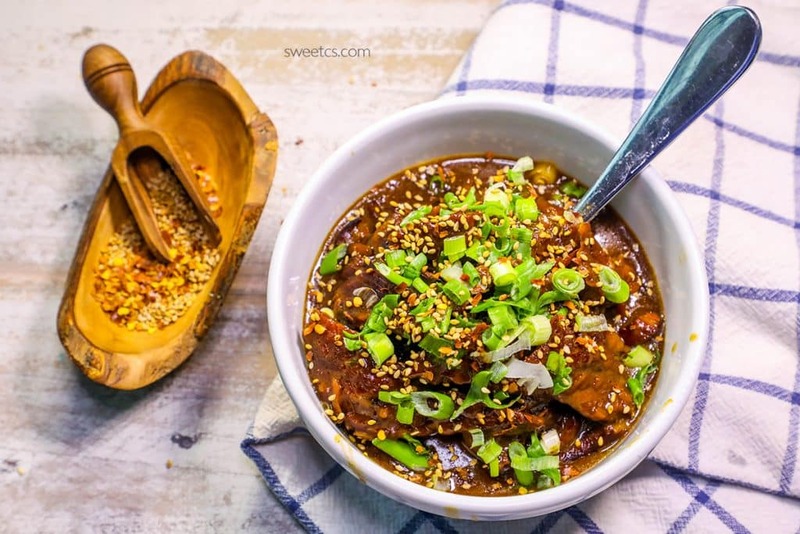 Add all other ingredients to instant pot set to sautee (or slow cooker on high- if in a skillet, skip to below instructions). Stir well and add beef. Add cover and cook for 25 minutes in Instant Pot, or 2 hours in a slow cooker on high. When beef is cooked, it will be tender and sauce will thicken. Garnish with sesame seeds, green onions, and red pepper flakes. If cooking in a skillet, add oil and brown beef. When beef is browned, remove from pan and set aside. Add all other ingredients to pan and stir well. Sautee until sauce is reduced by half. Add beef back in, toss. Garnish with sesame seeds, green onions, red pepper flakes if desired. This is horrible. My Instant Pot wouldn’t work because of the arrowroot; several attempts to pressurize and it said “burn” every time even after stirring several times over. I finally cooked the meat and after one taste, my family went out for burgers!!! I doubled the recipe because there are so many of us so a terribly expensive mistake. It’s the viscosity that is the main problem; It’s slimy. This recipe looks delish but it is NOT Whole30. Honey is not permitted. Andrea, if you look in the text before the recipe, there are Whole 30 substitution ideas for the honey! To my knowledge you cannot have honey on the whole 30 program!? Hey Sheree – you can’t, which is why I suggest a non-honey swap for those following Whole 30. You haven’t specified the amount of onions you put in with carrot? In fact no onions appear in the list of ingredients! Please could you add this as I would love to make this it looks delicious but I don’t want to mess it up. Fixed that – They go in with the carrots, and again as a topping.